On Friday I had a very rare day all to myself. Yes a whole day child-free. It doesn't happen very often so I have to make the most of it! A couple of weeks ago my friend Michelle and I were talking about having a day out shopping so we both booked the day off work and decided to go to Manchester. We set off early and got the train over so we could have a few drinks with lunch! Unfortunately it was pouring down but we weren't really bothered as we spent all morning in the Arndale Centre and Selfridges. 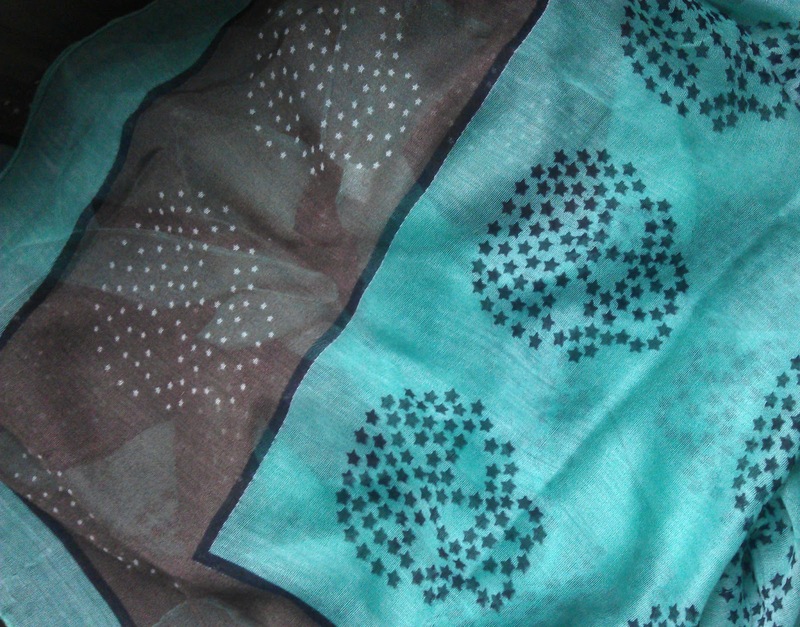 It was mostly window shopping but I did buy a few bits including this scarf to add to my already huge collection. By lunchtime we'd worked up an appetite so popped into the Red Hot World Buffet for lunch. We'd already pre-booked our table online, thank goodness as it was packed. There are restaurants in lots of big cities around the UK and it's an all-you-can-eat buffet serving Chinese, Indian, Italian, Mexican, Thai, Cajun and Mediterranean food. Have you ever been? All I can say it is INCREDIBLE! I tried a bit of everything but the Chinese food was my favourite. 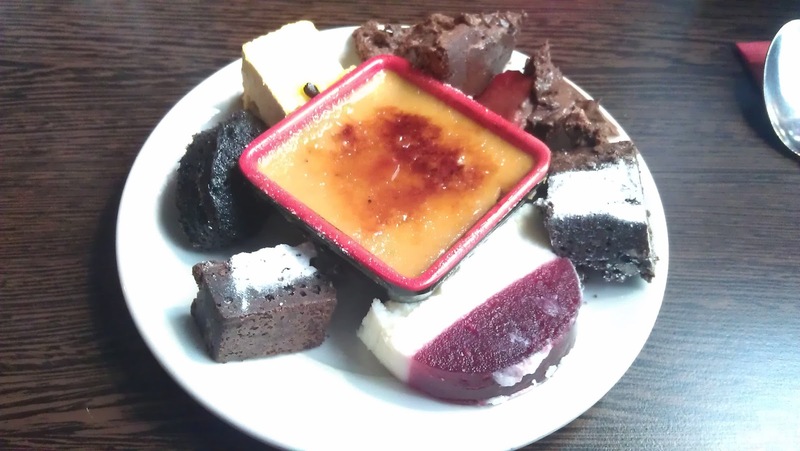 And the desserts. Oh my god. Well just take a look for yourself! After lunch we rolled ourselves back up to Debenhams and plonked our bursting bellies down at Nails Inc. for a manicure. 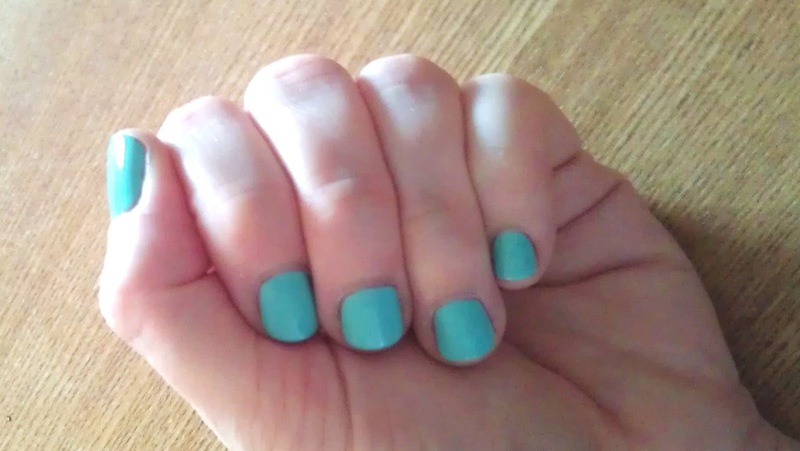 I went for a minty coloured polish called Royal Botanical Gardens which I love and is still looking fab with not a single chip after 3 days. Oh and it matches my new scarf! After that it was time to go home. I nearly had a little snooze on the train, had it not been for getting cramp in my shin from holding my leg in a funny position to stop it rubbing against the knee of the old bloke sat across from me! I had a fabulous day but it was just wonderful to feel the darlings little arms around my neck and their sloppy kisses on my lips when I got home. I can't help missing them like crazy even when I'm only away for a few hours.